Whatever your choice of involvement with Awesome Sport Banners is you will find that the rewards can be "AWESOME". 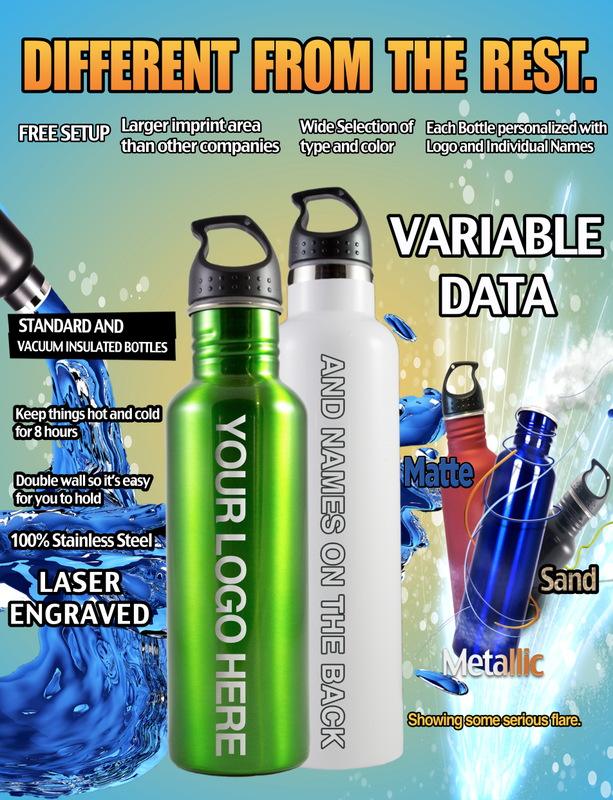 Our total company design is one based on getting personal with our clients from the banners to the water bottles we want it to be a personal touch that makes us stand out above and beyond the rest. Contained in this affiliate section are several options for our products and choices with different levels of involvement. While it is our goal to try to answer most of the questions you may have and provide you with information at times we just cannot think of all of the items. Feel free to contact us on the form at the bottom and we will be in contact with you promptly. ​It is important at this point that a basic understanding of the two different types of banner designs and construction methods are reviewed so that their definitions are clear and the basic photo differences understood. It should also be noted that different templates and types of pictures also offer different affiliate responsibilities and opportunities. 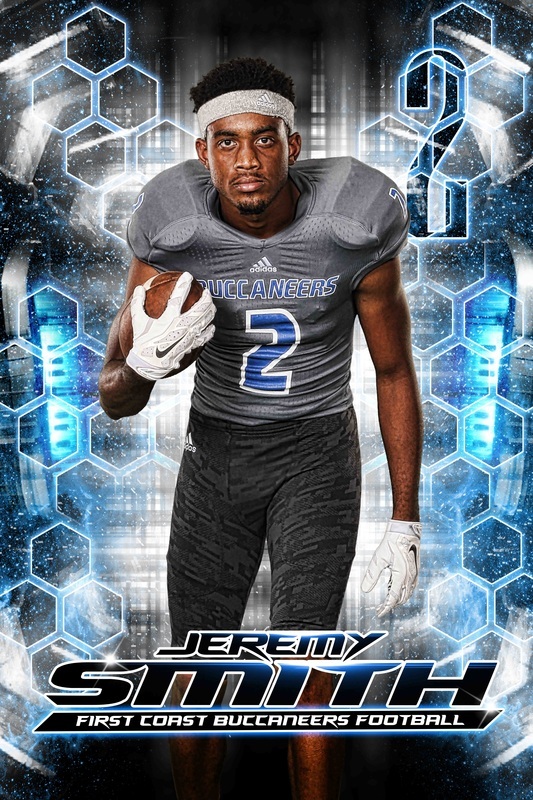 Drop-in banners are a composition of pictures that DO NOT require a green screen or other special shooting techniques when the pictures are taken. The pictures for DROP-IN banners are often shot in action type events and on the scene of an event. The picture in our template to the right is a DROP-IN and uses 7 pictures. The one to the right is a great action poster and uses a filmstrip inset image that provides part of its action and high-tech look for the picture placement. An extraction template banner is one that uses images where the background from the image has been removed. Typically this picture is photographed on a green screen background. This type of photo shoot does not require there to be an activity taking place where the photo was shot. A green screen shoot can be done on location or in a studio or even in a home. Typically a green screen shoot is done indoors where the lighting can be controlled and the elements do not interfere. 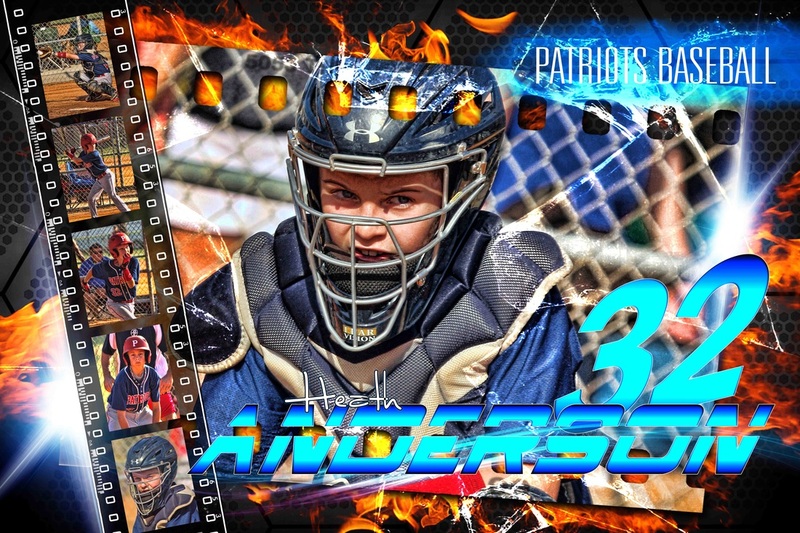 Now that you have a better understanding of the two different type of pictures used in templates to make Awesome Sport Banners we can talk about the opportunities associated with each. Extraction Team Picture made from player photos was not shot as a team. 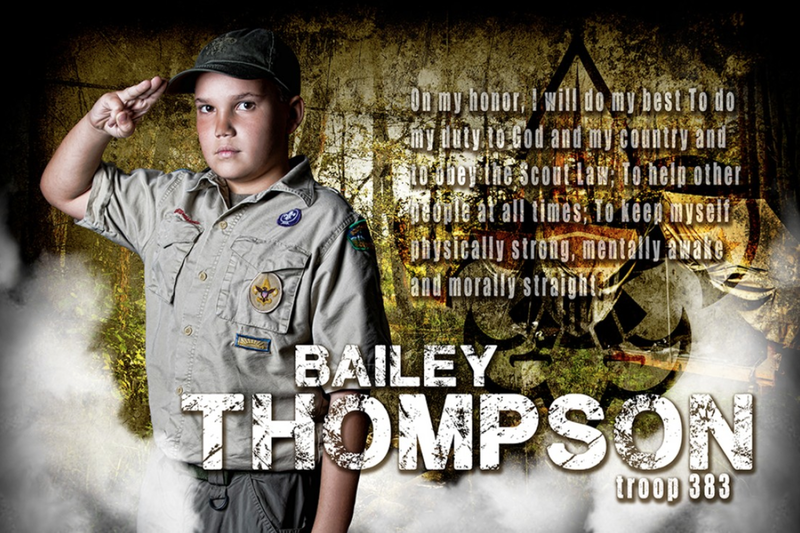 There are literally thousands of choices available with banners using drop-in templates. Think about it for a minute. 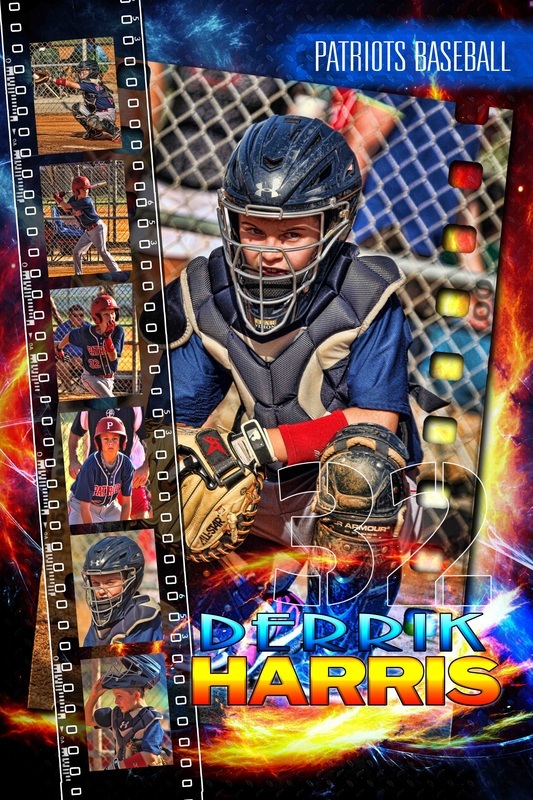 Everything from the Little League game, to the dance recital and even dad's salmon fishing trip or moms cooking class are potential banner opportunities and memories in the making. Because we are experts at what we do, templates can easily be created for any event, activity, need, want or desire. 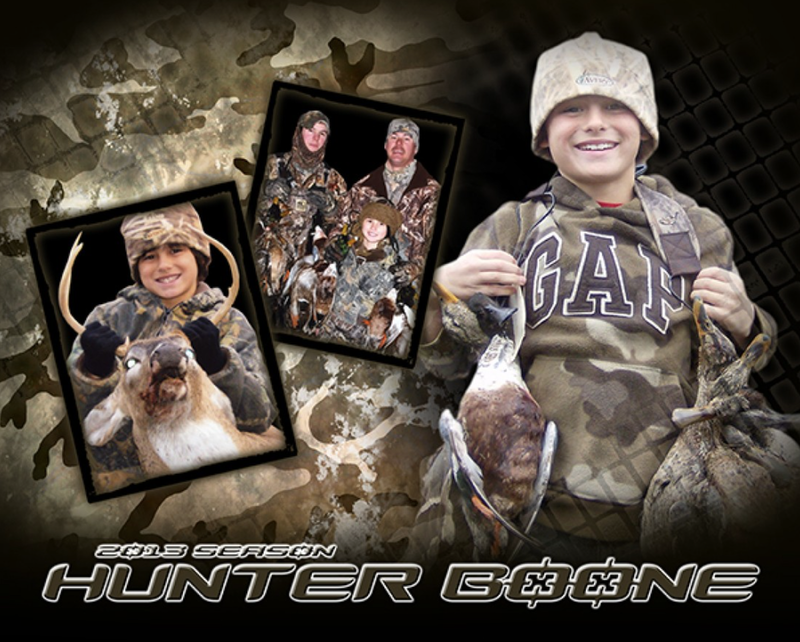 Remember drop-in templates use photos that are personally shot and we placed them into the template making a one-of-a-kind supersized memory. The opportunity herein for affiliates allows you to work in the area that you are most passionate about, finding the moms and dads and others who would enjoy seeing their children or event in a one-of-a-kind awesome banner. Remember they don't know what they don't know because they have never seen it before, this is where you come in having something unique new and different. As an affiliate you can think of yourself just like a store. You have a product for sale that you advertise and market on the Internet. What we know about marketing is that word-of-mouth and personal touch is one of the best and most effective ways to sell a good product. This is exactly where you come in with your expertise in communications and conversations and impressions. However unlike the typical store you are not required to carry any inventory or stock any products, but you do have the opportunity to potentially have the same Keystone margins as if you did. So take a look for moment of what we will call "your store". Let's start by picking a theme or an area where you have people you communicate with on a regular basis. For this example let's use the "soccer mom" scenario. Mom has a son or daughter who plays on a soccer team and they have had a good season. Wouldn't it be wonderful to take several pictures from the season and make a champion poster in recognition of them for their bedroom wall? This is exactly where you come in, you have just that very item available for the "soccer mom" and her special champion. 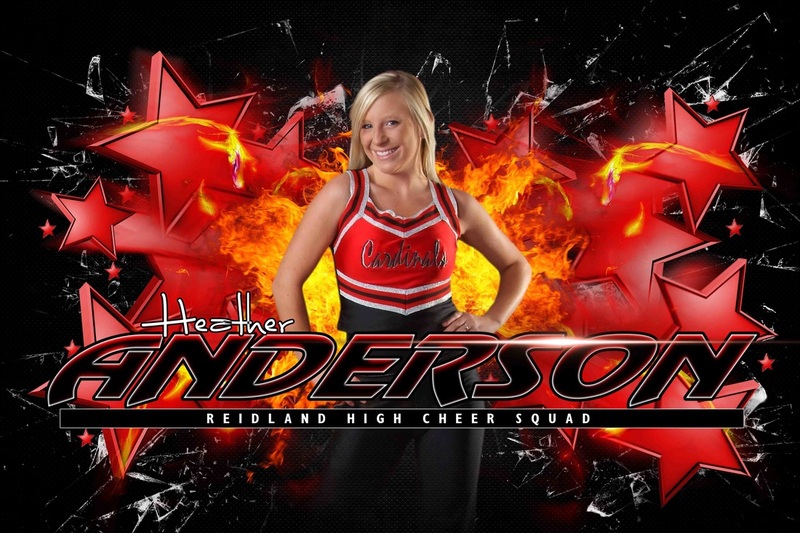 You make the choice as the store owner on the price for the banner and the manner that you will handle the files. Typically a large banner retails for $40 and your price on the banner is $15 if we use an existing template, or $20 if we make adjustments to the template. An adjustment to the template includes color adjustments and or photo element adjustments. Of course human nature is that everybody wants a deal and typically we find that some type of discount is offered from the $40 list price. This discount however is fully within your control, and at your discretion. So unlike other affiliate type programs that may be available, you have a 100% handcrafted unique product with a 100% plus profit margin availability. If we were to take this same scenario and carry it out just a little bit farther than the single mom that we spoke of, there are at a minimum 14 other moms and kids on the same team. And while you may not have contact or know who they are, your "soccer mom" does and you can use her to your advantage and to her own advantage as well. The numbers could easily be $350 in profits if you made banners for the entire team that you would share with the soccer mom for her help with the team sales. You are now to the point that some choices will need to be made. Do I send people to this site and offer a discount code that identifies me as the affiliate ? ... Or do I use the stock images and create my own little Awesome section in my world to meet my needs and desires. This is a good question and the choice is really up to you. You are free just to point to us we will build a special section for you and then offer a code that they will enter at checkout. This code lets us know it came from you and we know how to code it and price it. The down side to this is lots of choices. The client has the potential to come in contact with hundreds of banners and then making choices at times gets hard. If you post the information you have a much greater ability to steer them to the specific item you want and this often is a much better solution and thus outcome in the end. If we run this out in a scenario it may look like this based on the pointing to our site. You write and create interest and find a party that is interested in what you are offering and they come to the Awesome web site. At this point they have many choices and a great deal of information. Frankly it is easy at that point to loose them. But they continue on and pick the template and download the pictures, fill in the credit card information. We make a template proof and email it for approval and then we print and ship. There are many things here to fall through the cracks. One other item here as well is that your cost is also higher because of the hand holding here. We think that a better plan is served in your holding your own client throughout the process. You help them pick the template and collect the pictures. You forward them to us and we send proofs to them and you for approvals and payments. We then print the banners and ship direct to them and cc you on all of the information. This help you build a strong base and helps us to communicate with less people and ones that we have a relationship with on a regular basis. Remember you are the designer and your ideas and imagination are part of the key to your success. 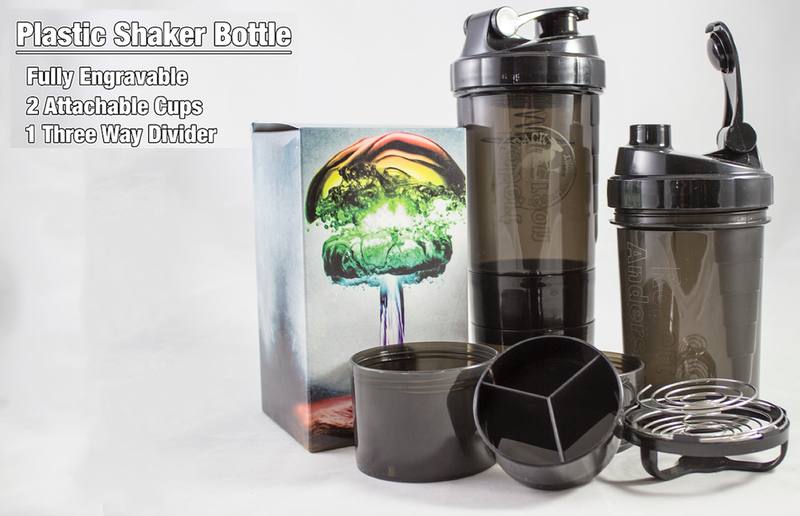 Design the bottle and make your vision or your clients desires a reality in the steel. The manner that Stainless Steel bottles work is that the designs are cut right into the steel through the finish. NO there are no color choices in stainless steel it is silver. The outside finish is available in many different colors as you can see here to the right. Bottle Pricing is the best you will be able to find anywhere. We offer great volume pricing for you as well as perfect prices for the one offs. 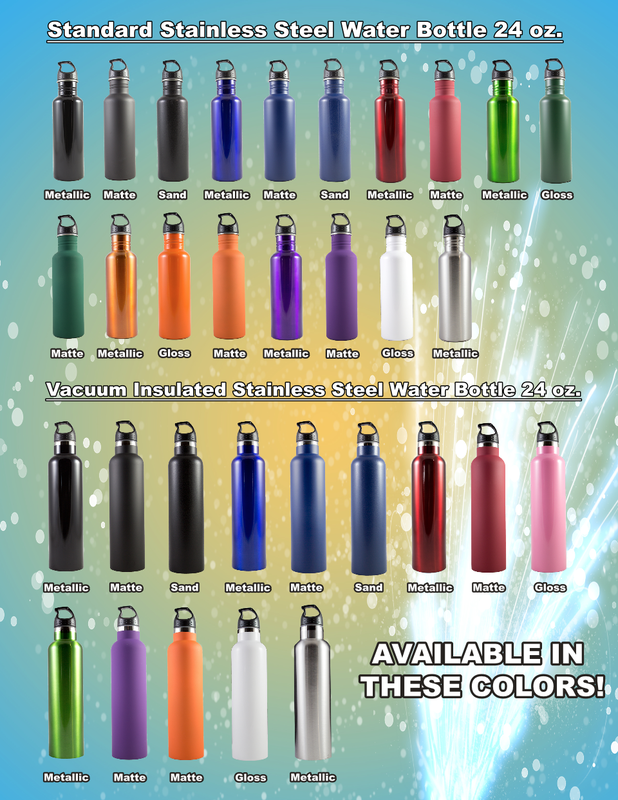 In addition to Stainless Steel bottles Awesome Sport Banners offers a perfect fitness shaker bottle that of course is also available for engraving and personalization. 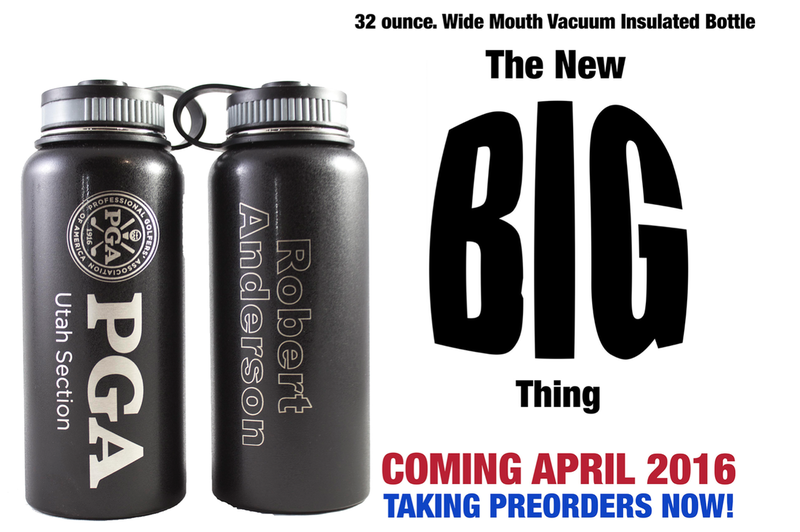 This bottle is unique and offers great features and a full 20oz of fill. While this may seem a bit of a obscure mix of products with water bottles and banners it actually is a remarkable synergy that goes hand in hand very well. If you think about if for a minute you can see that sports of all kinds can be captured on banners and with every sport the players and the fans typically have some way to hydrate. You guessed it Water Bottles. One of the best marketing tools we have found is the combination of the Awesome Sport Banner and Water bottle as a combination. Again we are a personal touch company and the water bottles can be personalized with team names one one side, and personal names on the other, making each of the water bottles a one of a kind personal expression that they will carry and use all of the time. Pricing is always a topic that brings a great deal of debate. Prices should represent product value, if the price is too low the product has no perceived value or little value. A higher priced item may create a greater value for the very same product. This is the delicate balancing act in pricing. We recommend you have a strong price and then offer a discount from the full price. You can compare our quality bottles to others on the market feeling comfortable that we meet all of the quality standards. Everyone uses Sport Bottles. We have used bottles for school fund raisers that are engraved with family names and the school that they support, to hospital appreciation for staff. Think about your reach and the amount of influence that you have touching people. We have delivered orders for hundreds and even thousands. Not to mention the hundreds of one off and five and ten item orders for everything from parties to weddings. I will share a personal example here of having my bottle with me on a cruise, and a lady saw it and was working on a wedding and ordered a good sized order for her party she was working on. This example is to show you that there are people everywhere that want what you now have. You just have to show them. Bottle margins are significant and the companies selling bottles are doing well. Bottle pricing can be sensitive so it will be sent you you via email communications.